June is here and the countdown to my Hawaiian getaway is getting real! Slight change of plans with all the Volcanic activity on the Big Island, so Maui and Oahu it is! I have never been to any of the islands so I am game for whatever. 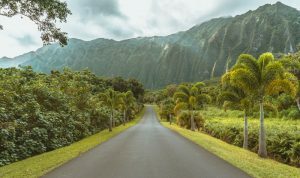 Mom and I have planned a very different trip compared to most people who visit Hawaii I think but we are going to have fun for sure. I will post pictures and info as I can. If anyone has suggestions on things they love to do in Hawaii feel free to let me know! I will be out of the office June 21 returning July 9. Tina and Amber will also be gone that last week of June so if you need products please plan accordingly. I will most likely not be checking email, voicemail or texts on a regular basis but I will get back to you as quickly as I can. Remember that you can book a service or purchase gift certificates online. Congratulations to the winner of our May giveaway, Jacque Rogers Foster! She’s the lucky recipient of our awesome beach bag from the May newsletter. Does Dad really need another tie or polo shirt? I am all about giving experiences and consumable gifts. What about a Man of the Hour Facial Massage Service? This service includes a skin consult, cleansing massage, steam towels with exfoliation to help remove dead skin cells and clean out pores, extractions if needed, mask with massage, treatment serums and moisturizer. Dad’s skin will be refreshed, exfoliated, and hydrated. This hour long treatment is $70. Skin Script isn’t just for women. 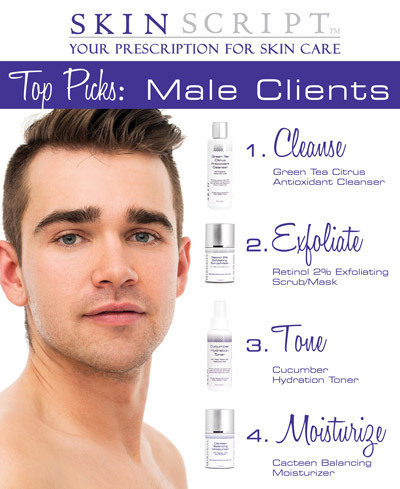 Men, we have products for you too! Buy our Kit for Men for $121.37 (includes tax) in the month of June and receive a FREE Sheer Protection SPF30 – a $24 value! If you really want to up your game men, you can add the Green Tea/Vitamin C Serum which helps the skin fight off free radical damage and brighten the skin as well as an Eye Cream to hydrate and minimize lines. 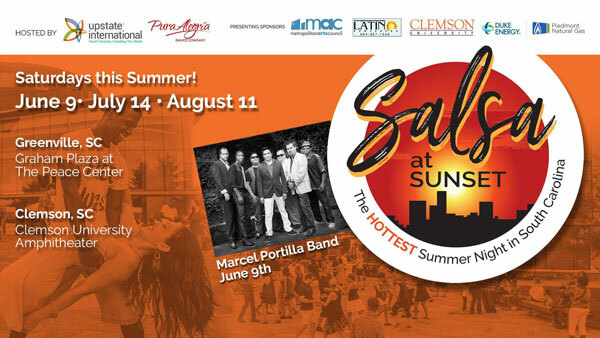 Raspberry Moon is proud to be a sponsor of the 2018 Salsa at Sunset Event this summer! You know how much I love to dance! So how could I not be a sponsor of an outdoor Salsa Event? Come out for a free group salsa lesson and a live Latin band. Feel free to bring chairs and sit back and enjoy the fun! The first date this summer is June 9th – see you there! So of course June is all about Father’s Day but did you know it is also Adopt a Cat Month? The shelters and rescue groups have so many animals that need great homes. Or check with me – I always know someone who is rescuing. After you adopt be sure your kitties are spayed and neutered, if they haven’t already been fixed. 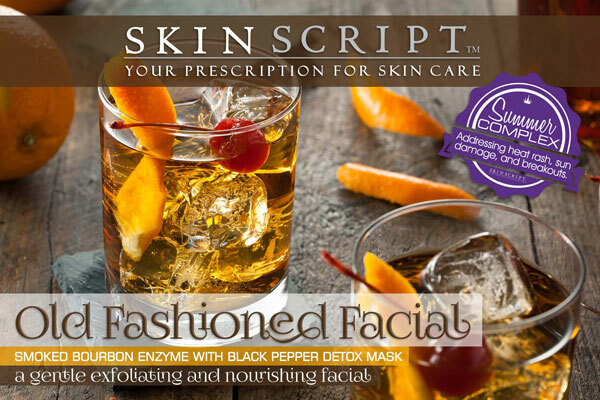 I am so super excited about this month’s Facial – The Old Fashioned! Anything Bourbon-themed I am a fan of lately. This is a limited edition facial so when the product is gone it is gone. Enjoy Responsibly. Enjoy Monthly. The health benefits of this French Oak Smoked Bourbon facial boosts your antioxidant levels to new heights! The cumulative effect of its antioxidant power could help reduce the risk of aging (ok, the effects of aging). French Oak treats both surface skin as well as hair follicles on men’s beards. X-pressin™ is an advanced technology papain enzyme which gently digests the surface dead, scaly cells that makes our skin feel rough. Smoked Bourbon Enzyme: Bourbon derives its antioxidants from the oak casks within which it matures. French Oak neutralizes free radicals and reduces the harmful effects of oxidative stress with in skin and hair follicles.. X-pressin™ is an advanced technology papain enzyme which gently digests the surface dead, scaly cells that make our skin feel rough. This superior glow-enhancing enzyme provides a gentle alternative to abrasive and irritating exfoliation (especially for men just after shaving). This brick-and-mortar facial targets the mortar (corneodesmodomes) and digests the proteins and lipids to release the bricks (corneocytes/cells) to reveal fresh healthy skin. Black Pepper Detox Mask: The Black Pepper Detox Mask consists of a Summer Complex of SymCalmin®, to reduce heat rash, Vitamin C to address dark spots and Dermasyr10™ to manage breakouts. This peppery cream mask has kaolin to absorb oil, yet is nourishing and softening with Safflower Oil. 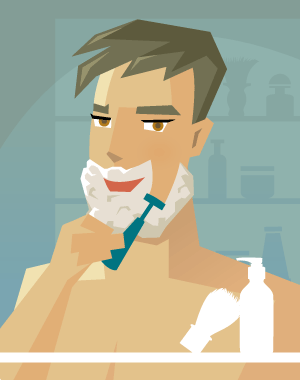 It may seem like common sense, but there is a right (and wrong) way to shave. Follow these tips for a smooth and razor-burn-free face. Start with freshly washed skin. Use Skin Script’s Green Tea Cleanser for double duty – facial cleanser and shave emulsion. Use approximately a large pea size pump of cleanser (maybe about a quarter of a pump). Manipulate the cleanser around your face in a circular motion. Rinse the skin with warm water and re-apply a small amount of Green Tea Cleanser to use as a shaving emulsion. Water should be warm–never hot as it could cause skin flare ups. Plus when the whiskers are wet, they plump up and become weaker, less resistance to the blade. NEVER shave in the shower. The constant humidity will lift off shaving product, therefore not adhering to the whisker. Using a sharp, clean razor, shave in direction that the beard grows. This means shaving with the grain not against it. The blade should be held at about a 90 degree angle to the skin, 45 degree if using a safety razor. Assist your skin by lightly pressing into your skin near the beard area you will be shaving, prior to sliding the razor across your face with your other hand. If you tend to get ingrown hairs, be sure to use a single blade razor. Not a close enough shave for you? Simply shave a second time. To avoid ingrown hairs, inflammation, redness, pimples or infected follicles be sure to always shave WITH THE GRAIN. Rinse the face with warm water followed by cold water to close the pores. This will help your skin to recover. Spray with Cucumber Toner for calming and hydration. Moisturize with Skin Script Cacteen Balancing Moisturizer or if it’s daytime apply Skin Script Sheer Protection SPF30 instead. If you are prone to ingrown hairs, be sure to use either Skin Script Clarifying Pads or if you have dark spots and ingrown hairs use Skin Script Glycolic Pads after you have cleansed your skin with Skin Script Green Tea Cleanser. Use these pads the opposite time you shave. So if you shave in the morning use these at night or vice versa. Cleanse with Skin Script Green Tea Cleanser. Remove Cleanser with warm/room temperature water. Use Green Tea Cleanser again for your shave. Spray with Skin Script Cucumber Toner. Apply Skin Script Sheer Protection SPF30. Cleanse with Green Tea Cleanser. Remove Cleanser with warm/room temperature water. Use either Skin Script Clarifying Pads or if you have dark spots and ingrown hairs use Skin Script Glycolic Retinol Pads. Apply large pea size of Cacteen Balancing Moisturizer. A good skin care regimen should be quick and efficient with maximum results.